The founder and managing editor of Metatron Press, Ashley Obscura is a Canadian-Mexican writer, publisher, and editor. She is the author of the poetry collections Ambient Technology, I Am Here (Metatron, 2014), and several digital poetry projects, including Museum of Symmetry (National Film Board, 2018). Ambient Technology, Obscura’s most recent collection, was shortlisted for Fence’s Modern Poets Prize in 2017 and has been translated and be published by Caleta Olivia in 2019. Obscura currently lives in Montreal, Quebec and is anthologized as one of Canada’s 30 Under 30 poets (With/Words Press, 2017). Her work is largely about love, both the macro and micro of its manifestation, and what it means to be heartbroken by this world. What is the literary and arts scene like in Montreal? I love Montreal! I feel like if you want to know what Montreal is really like to live in, you should check out the hilarious @fucknomtl account on Instagram. This city is seriously drowning in itself. There are so many layers to unpack here: socially, politically, personally. I’ve always felt like an outsider in this city, being an Anglophone and a poet. But I must say that I live a special and precarious existence here, which allows me to have plenty of psychic space; a life that, to me, feels like it could only be possible here. Since it’s so affordable to live here, it allows people time to flourish into their art and live with a certain joie de vivre. I think of Montreal as an incredibly transient city; it can be hard to permeate and hard to place roots in. I’ve had countless friends come and go from this city. There’s a certain real or even psychological limit to what one feels they can achieve here, especially financially or in the sense of a career. But it’s the perfect place to come experiment and play; to redefine yourself in a creative way. Many people joke that it’s the place young people come to retire in. But I fell in love with the energy of this city when I first visited at the age of nineteen and just never left. The collection feels like it has many settings. Yes! These poems were written in Montreal, Saskatoon (my hometown), New York, Toronto, Mexico City, Oaxaca, and Buenos Aires. In the collection, there are also natural and urban settings; as well as digital places. And then there are the “invisible places”: those places where we are whole and free, if at least for a moment. So, yes, its setting is many places: physical, mental, spiritual, and digital. Will you tell me a little bit about the process; did you write Ambient Technology over the course of year or more? 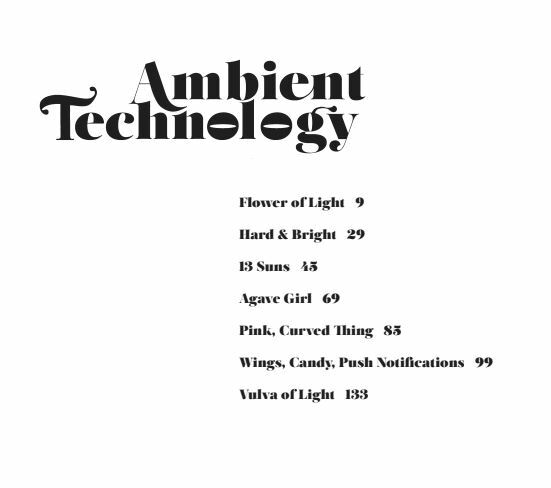 I worked on Ambient Technology off and on for about three years. I wanted to put something out a year after I put out my debut collection, I Am Here, in 2014, but things kept on happening in my life that I felt I needed time to process. And I was busy publishing a bunch of books by other people through Metatron Press. The book was originally supposed to be written in the style of the first couple sections — the ecstatic love poems — but then my partner of merely five years left me out of the blue, and that left me having to process the loss of what I viewed as my future. All my dreams immediately died and I realized I had put so much energy into nurturing a delusional vision for my future that depended on someone else. And the sections … how did those come about? during writing process? after? The sections came about around the halfway mark of working on this book. I changed the sections so much and moved things around an embarrassing amount of times. It was a process in the construction of the book, yes, but also very much a process in trying to figure out a clear narrative to something incredibly chaotic. It was healing work. The sections fell into place towards the end of the editing process after I went in and removed all the poem titles. For some reason, that made everything more malleable and fall into place. I wanted the table of contents to read the way an album would. Because we follow each other on Instagram, I knew you were going through a break up. Giving time is just … essential, even though it can feel impossible. Yes! I was very public with my breakup on Instagram. In retrospect, I really loved that I used that platform to be vulnerable and show something really gross and ugly. I think it was refreshing for people (I know because many many people told me so.) But yes, time is the greatest healer. It really is. I wanted the collection to be personal but also universal enough that anyone can pick up and recognize their experience of heartbreak in it. I think it’s so powerful that poetry/literature can offer people solace and support throughout their struggles. I like the idea of this book being given to friends if they have lost someone they loved. Writing it was a process of healing for me. I lost so much in that breakup (and gained so much) but my poetry, as a result, took on this new air of necessity for me. I was like, at least I have poetry. It sounds cheesy, but it really was my rock throughout that process. It was my power when I felt powerless. Oh I love those lines! The most devastating part of the breakup was exactly that — that someone I loved had given up on our Love Project — he didn’t want to try and love with me anymore. And that was supposed to be our revolution, to love in a world full of hate. We broke up right after Trump won the election. It felt very connected. It made me feel unsafe and ugly and rejected, but it didn’t make me any less beautiful as a person. That line is very much a spell. In my poetry I was able to find an inner lining made of beauty. I think poetry is a way I protect myself in this world. It’s like my armor, what I use to protect my self and keep in touch with what I feel. Can you discuss the title; how did you choose it? Ambient Technology … I really can’t remember when I first thought of it, but it was a few years ago and it just stuck. I actually had an editor of mine request I perhaps consider a different title, which I did, but I couldn’t. Ambient Technology, for me, is what this book is. It’s all about the soft technologies we don’t necessarily consider technology. Like love and compassion. Empathy. That’s really interesting, “soft technologies.” Can you say more about them? I think we need to expand our understanding of what technology is and can be. Technology of our bodies, of our minds, of our hearts, of our connections. There is a technology to everything. Everyone is so obsessed with the idea of technology being this techy thing — the hard technologies. Apple. iEverything. It’s not. Technology is merely just a system that communication moves through. It’s a medium for connection. Plants are technology, too. Do you know who Poppy is? The artist? I was just listening to this interview with her and she said something that really struck me. She was asked whether or not the real world or the Internet was more important to her and she said, “There’s no difference anymore.” I liked that. I think that’s very true. We’ve merged our physical and digital worlds together. It has happened. My friend often says he feels like he’s living in a simulation, like everything is hyper-real and not real, all at once. I think being alive is all about raising the frequency/consciousness/self-awareness of the cosmic program. So we’re just here to experience and gather information and try and “wake up” as much as possible. We started to discuss being intuitive, which is a kind of communication. Can you elaborate on that? I think of intuition as a force that allows us to feel and sense things outside of what we can physically see or touch. It’s like our spirit’s GPS. I feel like poetry, in this sense, is incredibly intuitive. I think it strengthens that muscle because (at least the poetry I’m moved by) is driven by intuition. Do you ever hear poems? I’d say I feel them more. Sense. Lately when I’ve read my work out loud, I have people come up to me after and say my poetry is very ASMR, which I love. I think the sound of my poems is very important to its ultimate expression. When people see me read, I think they understand my poetry on a new, deeper level. It often feels like the world is asking us not to feel, not to be so sensitive. Yes yes yes, absolutely. I think that’s my biggest problem with how technology is being developed. It wants us to be passive, without feeling. It desperately wants us to consume. I find lots of technology so numbing and stressful. I’m so curious about working on developing new technologies that activate and slow us down into the realm of the imagination. I think Museum of Symmetry, that VR art piece I worked on, is a great example of this. I really am trying to activate and ease people with all the work I do. My art is an attempt to put people in that kind of space. My work is largely about love, both the macro and micro of its manifestation, and what it means to be heartbroken by this world. Because this world is heartbreaking in lots of ways. In the middle of the book, there is another lover, is that correct? I felt like introducing another lover added to the feeling of movement, which I really liked. I think that’s part of the healing process too: not stagnating. After my breakup I spent a year trying to find new channels for my love, but I kept on experiencing men who did not want to be loved. So I loved my girl friends instead, and that was so powerful to find how solid that was. Friendship is a castle. I love that section in the book, the one about female friendship. I really believe in “non-possessional” love. So for me, relationships aren’t about possessing someone or keeping them even. It’s simply about loving them. And I feel like so many of us millennials treat love like it oppresses our individuality and freedom. I want us to find new ways of loving that aren’t based in patriarchal systems of control and ownership. I want us to be open vessels of love. It’s been my experience that when someone tries to possess, they fail, and the relationship fails. It’s an awful thing we do to the people we love. I feel like it’s programmed into us somehow. A byproduct of the patriarchy or white supremacy or something. This idea of owning something is really strange to me. It’s the root of many of the world’s problems: to possess, to own, to dominate. This trait of the powerful has been incredibly damaging, even permeating intimate relationships between people and even our relationship with ourselves. I remember when I was looking for something to blame for my heartbreak and pain, I kept on thinking about how the world makes it so hard to love. So I was blaming the world a lot … that’s where the sassy feminist poems come from in the collection. I felt like the patriarchy somehow made me unlovable. I’m so sorry to hear that. Love is essential. It is. Love is the richest currency. I feel richest when I am loved. And when I can love. I think anyone who has experienced love would agree. And you can’t buy that. It’s magic. When I was writing this book, I was thinking a lot about this … about love and desire. And where they intersect and don’t. I kind of love that it took this break up for you to write the book. Meaning, this wasn’t an accident, because this book feels very intentional, needed. Thank you, I appreciate the immediacy of poetry — poetry that feels essential to the writer. I didn’t feel like that when I was living it, but now looking back, I see how I needed that. I needed to learn how to be on my own and not rely on others to provide me with what I can provide for myself. I needed to learn about the breadth of human strength to endure pain and abandonment. I feel so much stronger now, and like I know more about how to love and be loved. I’m such a romantic! Like how many times have I said love in this interview? I think it comes from the Spanish side of me … It’s interesting that my poems are really cherished by Spanish readers. I’ve been translated a lot all over Latin America. I’d say my fan base is more prominent there. That’s amazing. Do they have different reactions to your poems? I’m curious what it’s like for you to read / hear feedback in/from different countries. Our sincerity can reach extremes that horrify a European. The explosive, dramatic (…) manner in which we strip ourselves, surrender ourselves, is evidence that something inhibits and suffocates us. Something impedes us from being. And since we cannot or dare not confront our own selves, we resort to the fiesta. It fires us into the void; it is a drunken rapture that burns itself out, a pistol shot in the air, a sky rocket. I suppose my point is that my poetry is a fiesta! I’m becoming more and more interested in exploring my poetry in Spanish. It’s a more sensual and romantic language… my poems dance more. Spanish makes my words sparkle in a way English doesn’t. I actually have a full translation of Ambient Technology coming out from an Argentinian publisher next year! It’s called Cosmica Cosita, “little cosmic thing.” It means a lot to me to have this opportunity to publish in Spanish because I wasn’t raised speaking Spanish by my parents (my mom is Mexican and they are both fluent), so it’s a part of me that I feel estranged from in a way that is shameful and isolating. I grew up in a city in which my parents didn’t feel free to speak a foreign language, even in their home. It’s an interesting effect of colonialism that I don’t speak a language that seriously defines me … So it’s beautiful to me that poetry has led me back to this obscured part of myself. 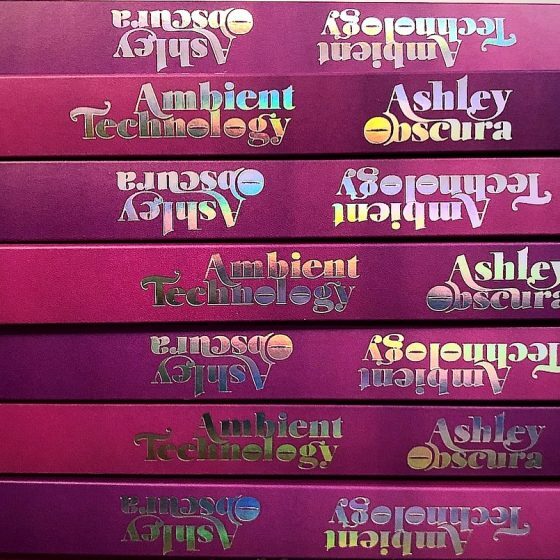 Find out more at metatron.press, or follow Obscura on Instagram @ambientttechnology. Elizabeth Schmuhl is a multidisciplinary artist whose work appears in The Rumpus, Gramma, Paper Darts, and elsewhere. 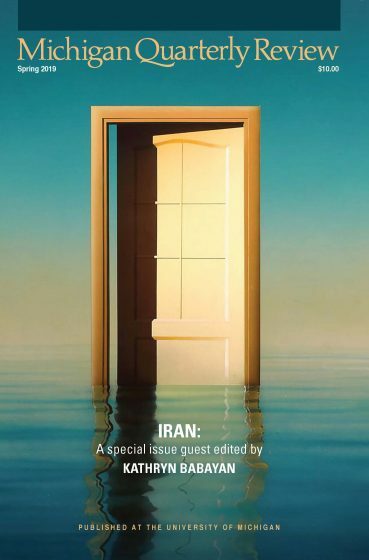 Her book, Premonitions, is recently out from Wayne State University Press. Elizabeth has worked at various non-profits, including the John F. Kennedy Center for Performing Arts and the University of Michigan. She currently works as a Marketing Strategist and Campaign Manager for Shamel Pitts.